We never claim to be luxury travellers – our top secret to being able to travel the way we have is to do your research. Not all good things have to be expensive, and not everything that is cheap is bad. 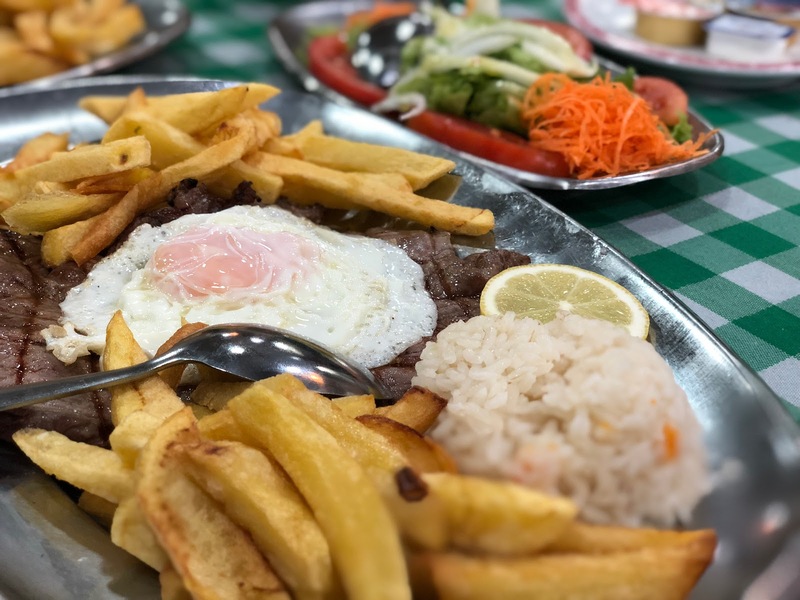 Before our trip we did a lot of research on the best ‘cheap eats’ in a city which can sting naive tourists and leave you disappointed. 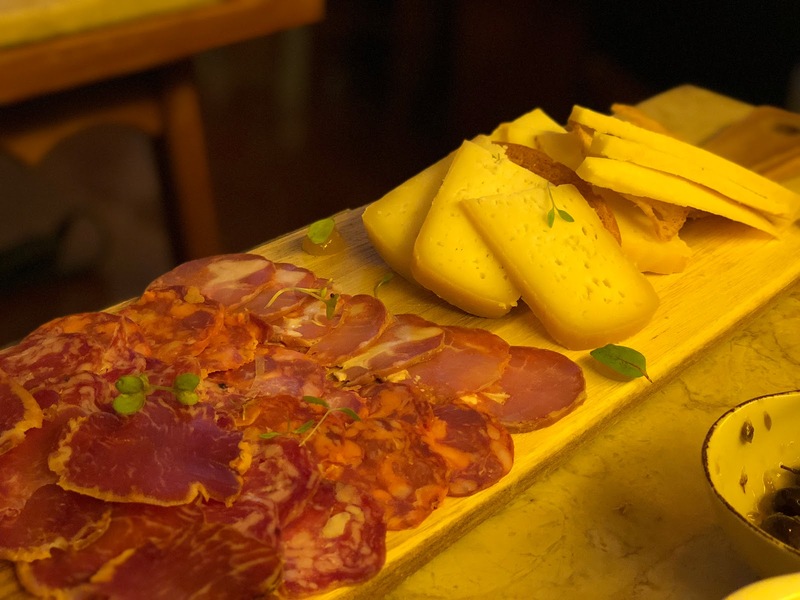 But we are here to point you in the right direction of some fantastic Portuguese food in the glorious capital of Lisbon. From arriving and checking in our bags at the nearby hotel, we were ready for our first taste of Portugal. Using our trusty friend, TripAdvisor, we had our cheap eats filter turned on and sorted by location. We were in luck! Just a five minute walk away was Rodas Restaurant, but upon arrival we were having mixed signals of American Diner and Bridge Cafe from The Apprentice. We trusted the online reviews and we’re so glad we did. Don’t get us wrong, it was far from luxury but our steaks were tender and juicy and it was just what we needed to get us going for the rest of the day. Interesting fact: Portugal is one of the leading rice consumers outside of Asia, and have it with almost anything. Rodas was the perfect demonstration of that – apparently chips and rice is very common. Now here comes the clear winner for the best meal that we had during our time in Lisbon. 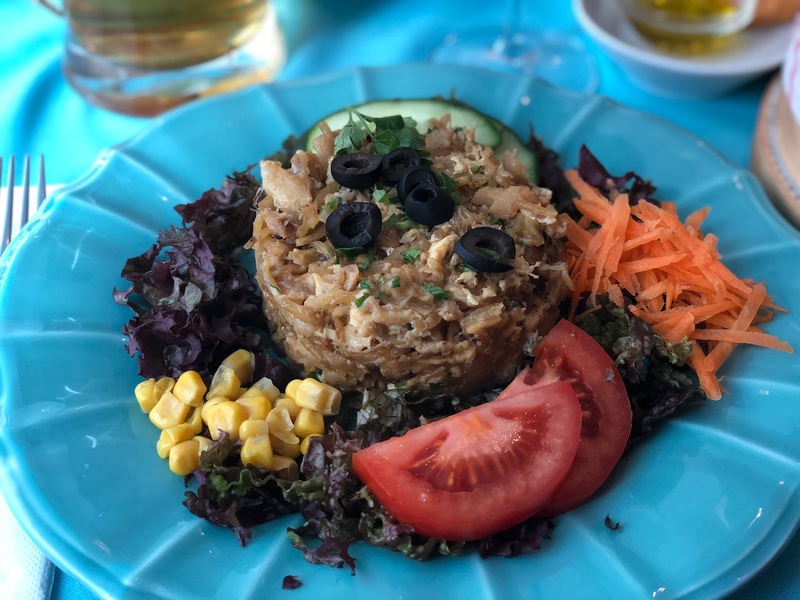 In the surrounding neighbourhood of Castelo de Sao George was this gorgeous tapas restaurant, and every thing we had was simplicity and perfection. 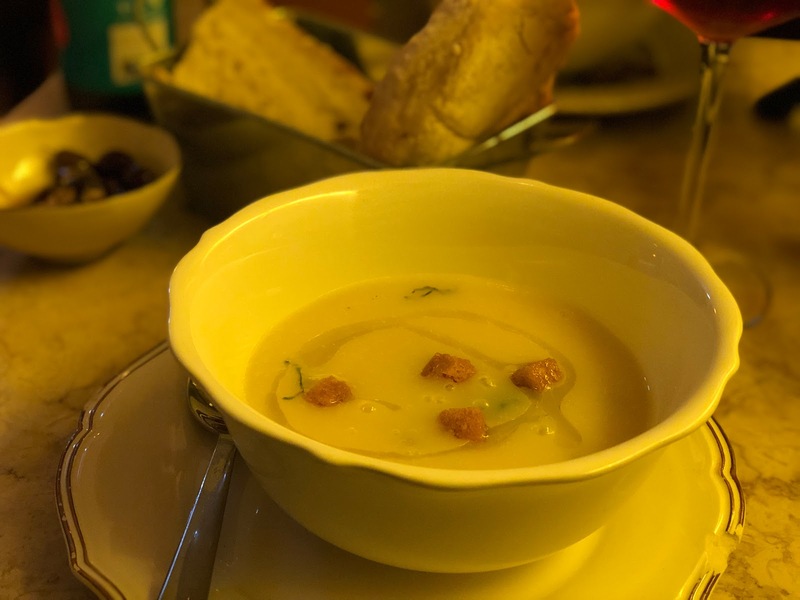 Starting with their Portuguese sausage and potato soup and moving on to the classic cheese and meats board, we were gutted we couldn’t have moved further down the menu and try more. The food went perfectly with the recommended wine and local craft beer, and the service was amazing. The best bit? We booked via TripAdvisor to get 30% off the bill and walked away with only spending just over £20. After a long morning of exploration, we found this gem in the charming back streets of the city centre. Bread 4 You has a disconcerting name in our opinion, but the menu looked rather delicious and that it was. Jessica’s Cod a la Bras (see top of post) stole the show with the delicious cod, eggs, onion, potato and olives. It was the perfect light lunch with plenty of flavour and a great side salad! Definitely a must get if you find yourselves at Bread 4 You. 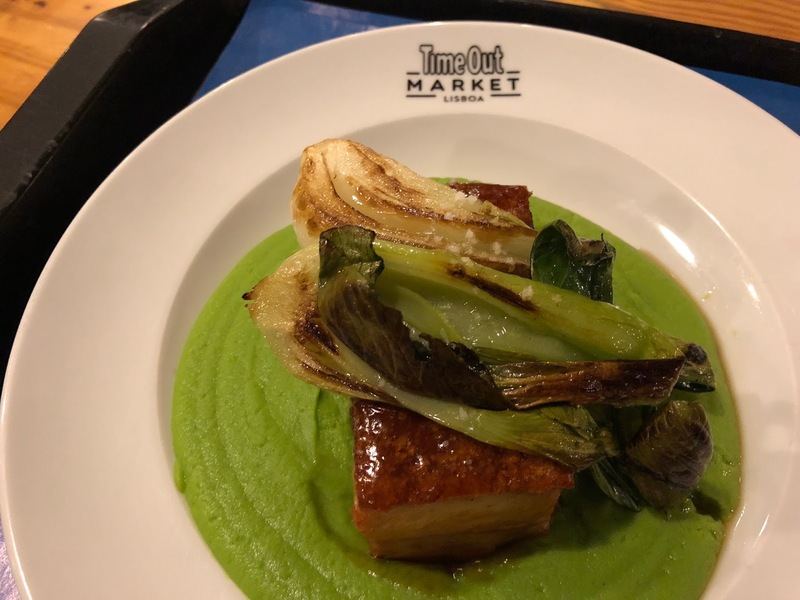 After reading and watching so many blogs and vlogs before our visit, we noticed a reoccurring theme of amazing food at the Time Out Market. A tourist trap, maybe, but it’s not any ordinary food market. Time Out choose from only the very best restaurants in Lisbon to represent themselves in the market environment, so you are guaranteed quality. 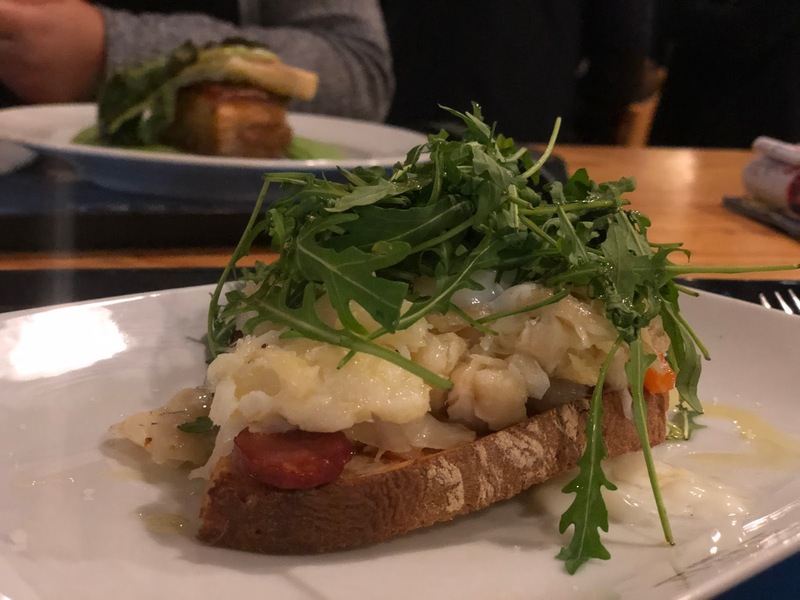 Not wanting to fall into the temptation of the typical burger and fries, we opted for classic Portuguese options again with a cod and chorizo topped bruschetta and belly pork. Having been on a food tour all afternoon, we weren’t concerned by the small portion sizes and topped things off with a custard tart! You can check out our thoughts on that along with all the other tarts we had along the way in our previous post! Have you been to Lisbon? If you’ve got any recommendations on cheap eats then let us know in the comments! Really wish i was going to lisbon for all the yummy food! Looking at these photos makes my mouth water. 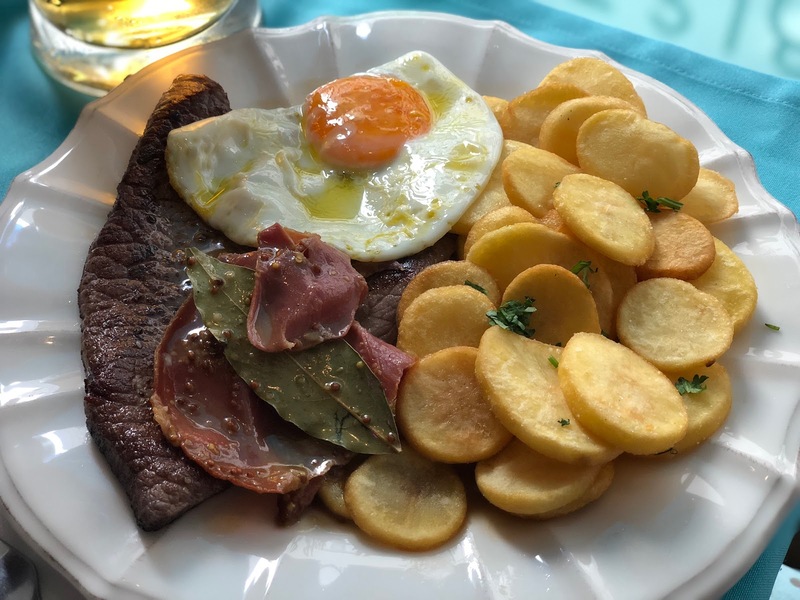 I certainly learned a lot about Portugal's cuisine from your post. I 100% agree with you that you DON'T need to spend a fortune to have an amazing time! Who wouldn't want to have an inxredible holiday, some memorable experience, wonderful food, AND still have money left over?! As usual, the food looks incredible!